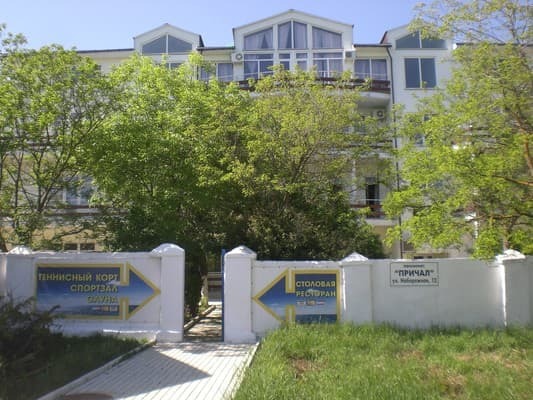 Hotel "Prichal-Primorsky" is located in the village of Primorsky about 7 km from the city. Feodosia along the Kerch highway. The shore of the Black Sea is just a short walk away. 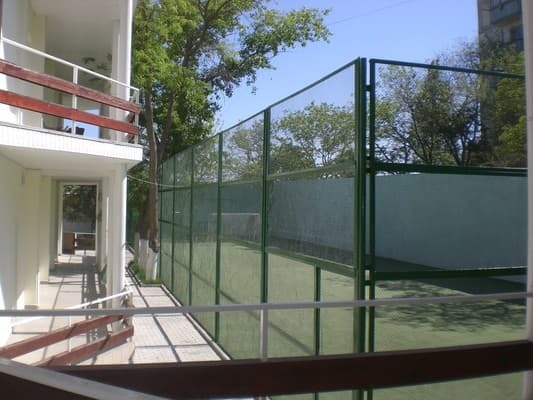 It is a 4-storey well-equipped complex in which guests are offered rooms of various categories. 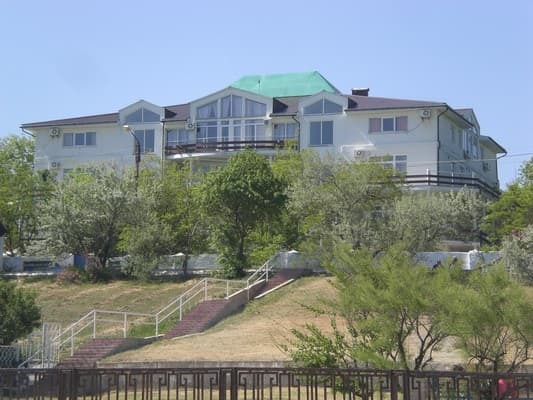 The hotel offers excellent homemade food (the hotel has its own dining room), Wi-Fi, a cozy sauna, tennis court, a guarded parking lot, a pebble beach with equipment rental and a private pleasure boat. In the immediate vicinity of Primorsky, there are many interesting natural, historical and cultural sites. 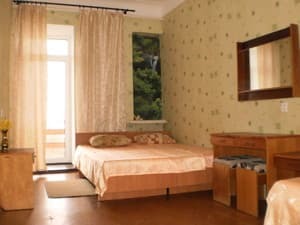 Especially the hotel "Prichal-Primorsky" can be attractive for vacationers who appreciate a quiet and peaceful holiday, but also do not want to completely break away from civilization. PRICES MAY CHANGE, YOU NEED TO RECEIVE INFORMATION FROM THE OPERATOR! Description of the room: Double room without amenities (shower, toilet, wash basin shared on the floor). 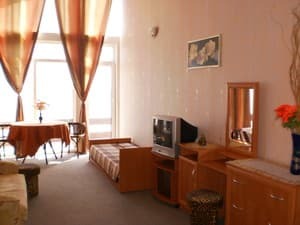 Description of the room: Cozy, small room with all amenities. Description of the room: Double one-room with access to the loggia, with a side view of the sea. A bathroom in the room. Description of the room: Cozy triple room without amenities (shower, toilet, wash basin shared on the floor). Description of the room: Two-room suite with all amenities. 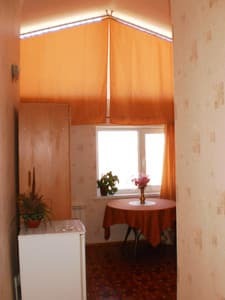 Description of the room: One-room studio with kitchen. The room has a balcony with panoramic sea views. Children under 3 years are admitted free of charge without providing a separate seat. Children from 3 to 12 years old receive a discount of 50% of the extra bed cost. Extra bed in the room (from 12 years old) - 20% of the room price. 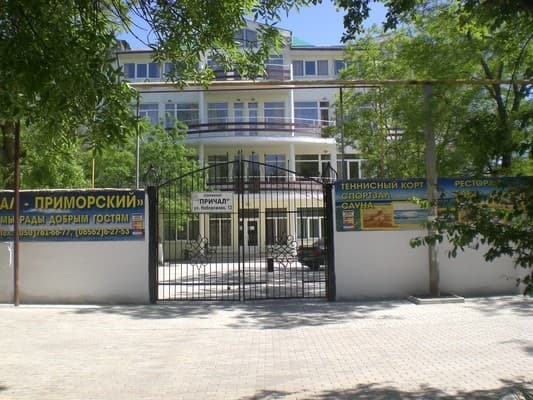 The hotel is located in the village of Primorsky about 7 km from the city of Feodosia, in 20 km there is the village of Koktebel; 20 km to Cape Kazantip on the Azov Sea; 25 km to known biosphere objects - braids Arabatskaya arrow and lakes (estuary) Sivash. 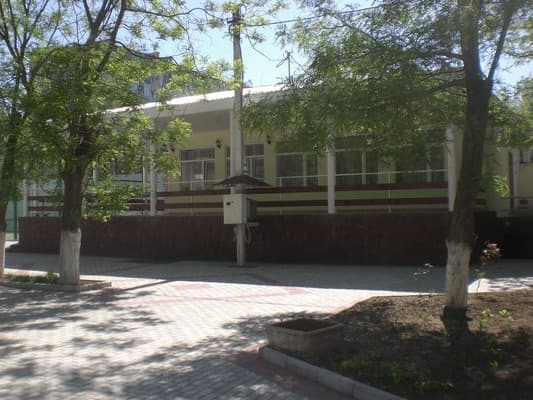 From the bus station and the railway station of Feodosia by fixed-route taxi No. 106 to the stop "Yuzhnaya". Seaside.